An LED flashlight app that uses the powerful LED camera flash, as a flashlight! This app requires SysToolsMgr Service to function correctly. 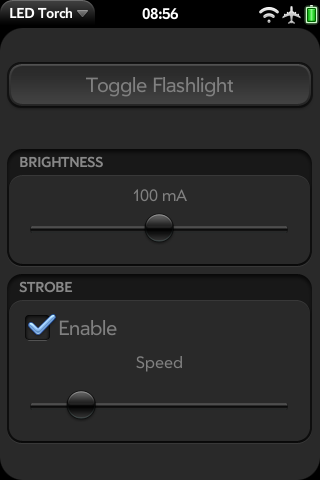 I made the app style customized to a dark motif as generally you'd be using the flashlight in the dark and certainly don't want a bright screen to throw off your vision.